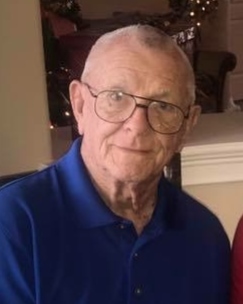 Lakeland - John Paul Garber, Jr., 90, of Lakeland passed away peacefully at his home on November 29, 2018. John was born November 23, 1928, in Avon Park, FL to Elizabeth and John Paul Garber, Sr. He is survived by his loving wife of 70 years, Barbara Harrison Garber; sister Gloria Lockwood of Bradenton; sister-in-law Vickie Flowers (Tony) of Avon Park; 6 children, Gwen Lansing (John) of Griffin, GA, John P. Garber III (Kay) of Greensburg, PA, Sam Garber (Susan) of Lakeland, Tom Garber (Barbara) of Myrtle Beach, SC, Greg Garber (Sharon) of Winter Haven, Amy Turpin (Bill) of Lakeland; 14 grandchildren; 5 great-grandchildren; many nieces and nephews. He attended UF and was a lifelong Gator fan. John worked in the agricultural field and in later years enjoyed a career as a videographer. He was an avid golfer and fisherman his entire life, club champion at Cleveland Heights in 1969, and, with Andy Bean, won the 5th annual four-ball tournament in 1970. He wound up his golf career in August 2017 as the oldest participant in the annual Dexter Daniels Parent/Child Tournament at 88. A Gathering of family and friends will begin at 1 p.m., followed by a memorial service at 2 p.m., on Friday, December 7, 2018, at Lakeland Funeral Home & Memorial Gardens. The family asks that in lieu of flowers contributions may be made to, SPCA Florida or the Boys & Girls Club of Lakeland and Mulberry.